Do you love your kitchen, but want to give it a new more updated look? The Remodeling Pro would love to help you turn your dated and dull kitchen into something you’ll be proud to share with friends and family. For over 36 years The Remodeling Pro has been creating happy customers with brand new spaces to share. No matter the size of your budget, we can work with you to find a solution to your project. 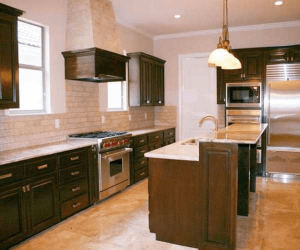 We recognize a complete kitchen remodel with layout changes, new appliances and custom cabinets may not be important to you, that is why we have developed a partial kitchen renovation program. What is a Partial Kitchen Renovation? A partial kitchen could be called a simple face lift it features fewer physical changes and of course a lower price tag. The Remodeling Pro will replace and upgrade the look and feel of your kitchen using simple changes in lighting, flooring, paint and counter top treatments. We can even refinish your cabinets bringing them up to date with new styling or treatments. These ideas come from this article. The Remodeling Pro Brings Your Ideas To Reality Makes Dreams Come True Can Help You Age In Place Offers Easy Financing Is #Trending Now! 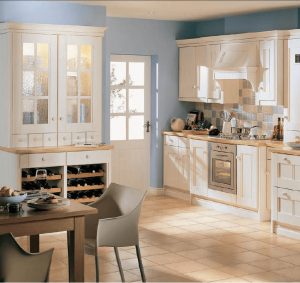 Remodeling your kitchen with this process gives you a chance to remove or replace the parts of your kitchen that are truly outdated while keeping the pieces of your kitchen that you love and lowering the price of the project. We also offer complete kitchen remodels!